A solar policy analyst answers Arizona regulators. 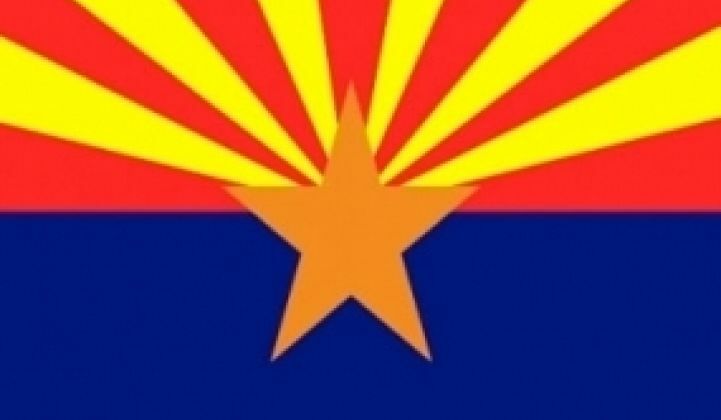 Solar advocates have struggled to be heard in the wake of the drastic curtailment of Arizona’s solar incentives by the Arizona Corporation Commission (ACC) . Policy analyst Nancy LaPlaca, who served as Policy Advisor to former Commissioner Paul Newman, provided counterpoints to a recent ACC editorial. “While incentives have gone down each year, at the same time renewable energy installations have dramatically increased,” argued Republican Commissioners Bob Stump, Brenda Burns, Bob Burns, Gary Pierce and Susan Bitter Smith in The Arizona Daily Star. True, but the commission’s recent, sudden and unannounced cuts to rooftop solar budgets and the elimination of the performance-based incentives (PBIs) provided to commercial solar system buyers by the state’s two investor-owned utilities (IOUs) and its huge reduction of the upfront incentives (UFIs) provided by the IOUs to residential solar system buyers will cut local solar businesses off at the knees and reverse commercial solar growth. Yes, Arizona is far ahead of its clean energy goals and will indeed reach those goals ten years ahead of schedule. But does this mean we should knee-cap solar? At this point in time, commercial solar still requires incentives. Arizona benefits mightily from a solar industry that supports manufacturing and installation of panels, a solar supply chain, research and development and all the indirect economic benefits that follow. Dollars spent locally in the solar industry benefit Arizona’s economy twice as much as dollars sent out of state, yet but Arizona sends $2 billion to $3 billion every year out of state for coal and natural gas. Residential solar is surviving in Arizona because the solar leasing model allows homeowners to put up solar for no money down. But the commercial market, which is far different, is where the potential growth is. Because of that potential for scale, the commercial market is a bigger threat to the utilities than residential solar. Mid-size solar on large retail outlets and commercial buildings cuts into utilities’ profits. What the ACC could do is design a program through which the utilities and solar developers could both benefit. Instead of stopping solar growth, we need the ACC to lead us toward a new business model that keeps utilities healthy but also allows solar developers to compete. Calculations show the solar industry’s suggested budget would have increased the cost of the commercial solar surcharge between $0.02 and $0.06 per month for ratepayers. Studies show solar brings local economic benefits and polls show Arizonans are willing to bear the cost for those benefits. “We remain committed to the goal of ensuring that renewable energy is part of a balanced portfolio that includes coal, natural gas and nuclear power,” the commissioners wrote. APS spends $725 million to $1 billion every year for fossil fuels, and most of those dollars go out of state. In contrast, the APS rooftop solar budget was $40 million in 2011, was reduced to $24 million in 2012, and the ACC just reduced it again to less than $3 million for 2013. Which is the better investment? Arizona gets less than 2 percent of its electricity from solar, and 40 percent to 50 percent from coal. Ratepayers will spend billions on emissions controls and chemicals for coal plants. Solar is an investment, not an expense. Buying fuel and cleaning up the pollution are expenses. Arizona’s solar industry has benefited the state and could provide even more benefits through policies like aggregated and virtual net metering, crowdsourcing and value of solar tariffs, policies the current commissioners have openly discouraged debate about. Poll after poll shows Arizonans support the growth of solar energy by overwhelming majorities. Despite paying lip service to it, the current ACC is, according to solar developers, impeding Arizona’s fledgling solar industry.